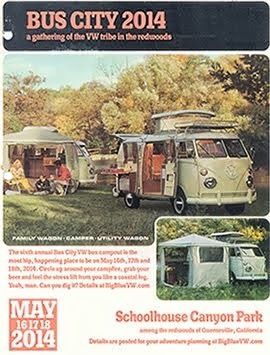 Big Blue's Facebook page, a place where we banter about VWs with good VW folks, has almost 1200 fans of VWs on there. I like it when we make it a little more friendly and get to know some of the people and their buses. 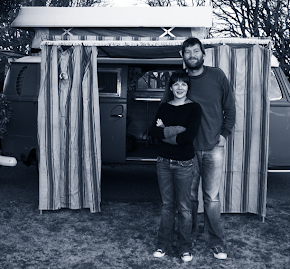 This month, I tracked down d'Ann from Southern California and she agreed to share the story of her bus, Herman, a 1976 Westy. When and where did you get Herman? My husband Frank and I have been wanting another VW bus/camper for a while so began looking around, including online: Samba and eBay. We found Herman on eBay in January 2010. We sent many emails back and forth, and many hours on the telephone with the sellers, Mike & Christy Smith (Washington). Mike and Christy were great, answering all our questions and sending hundreds of photographs of the bus, including photos of the entire painting process showing the great condition of the body. We didn’t take possession of him until the end of March 2010, as the seller finished a few “extras” for us. Herman originally came with Montana license plates. 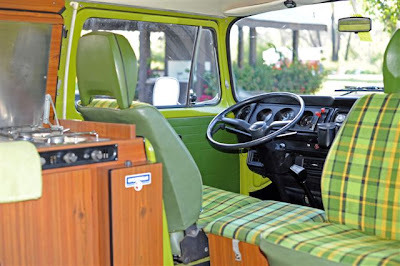 Was Herman your first VW bus? No. My husband Frank and I have known each other since high school. Our first bus (as a dating couple) was a thirteen-window 1967 split. 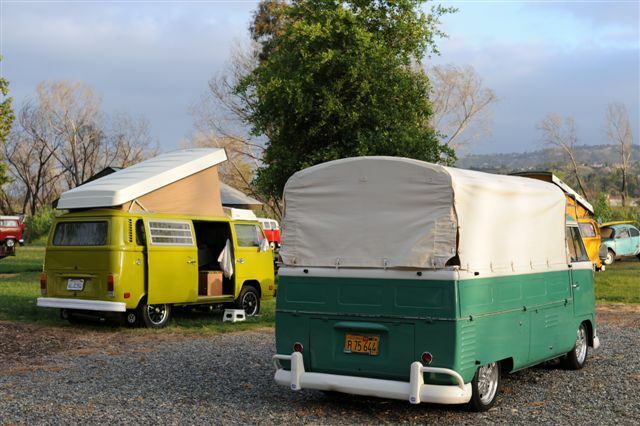 We also had a 1968 Bay, and then in 1979 we bought a 1967 Westfalia split-window camper without an engine and used the engine from the 1968 bay. 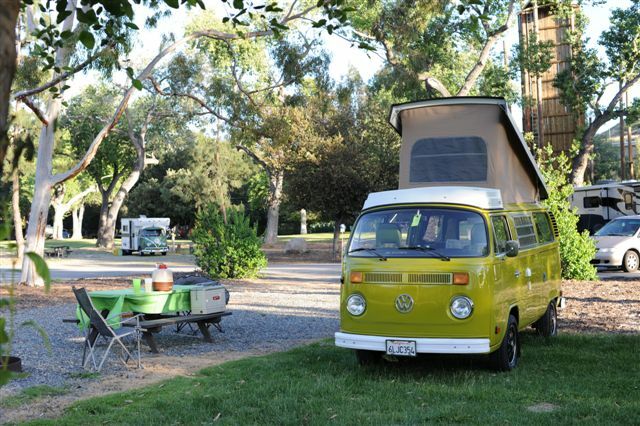 We fully restored our 1967 with new canvas on the pop-top, paint, and chromed the bumpers – it was our baby! The interior was in great shape, so it remained stock. We sold it due to a pending move to Upstate NY. Turns out we never moved, and our gorgeous little bus was gone forever. :o( We got busy raising children and didn’t own a bus for a number of years. In about 2006 my husband bought a 1961 single cab and is still busy restoring it. It’s “Gumby” green and white. I call him Gumby, but Frank doesn’t have a name for him. Herman with d'Ann's husband's '61 single cab. My husband and son (Michael) have been back into the VW scene here in SoCal for about the last 10 years. I wanted a bus of my own, so we started looking and found Herman! Even though Frank is Herman’s primary driver, Herman is my baby. 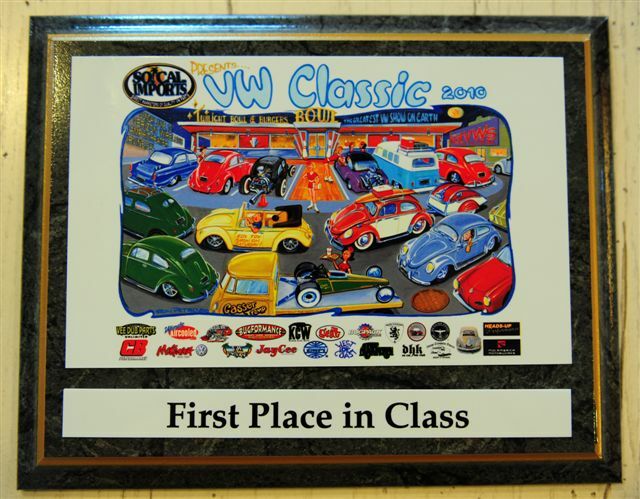 On June 6, 2010, Herman won 1st place in the “Custom 68 -79” class at the VW Classic in Irvine. I couldn’t go that day, so when I heard that Herman won his first competition and I wasn’t there to see it, I felt stabbed in the heart, like I’d missed my child’s first steps! Herman won 1st place in the “Custom 68 -79” class at the VW Classic in Irvine. How did Herman get his name? What is it about Herman that is unique? Herman is a gorgeous 1976 bay window Westy in beautiful condition, and his bright green color draws people to us wherever we go. He has a 2.0 liter rebuilt stock engine/fuel injected, new paint, all original interior, including the original “dealer option” air conditioning – and it works! 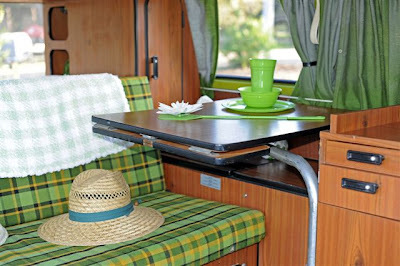 He comes with an original green Westfalia awning and the original drive-away tent. I think Herman has just about every option available. Other than his fancy new “shoes” (Porsche gas burners) and muffler, Herman is pretty much stock. We just purchased a trailer hitch so we can attach a swing-away bicycle rack on the back for camping and fun! The most unique thing about Herman, for us, is that he represents time with family and friends (old and new), and fun and relaxation, now and in our future retirement. We plan on taking him camping to many parks and states as a couple, and on trips with our adult children and future grandchildren. Lovely Camper you have, our favorite colour is green and VW in the 70's sure knew how to do green. Love those green kitchen accessories you have too.